I CRAVE salty crunchy goodness. 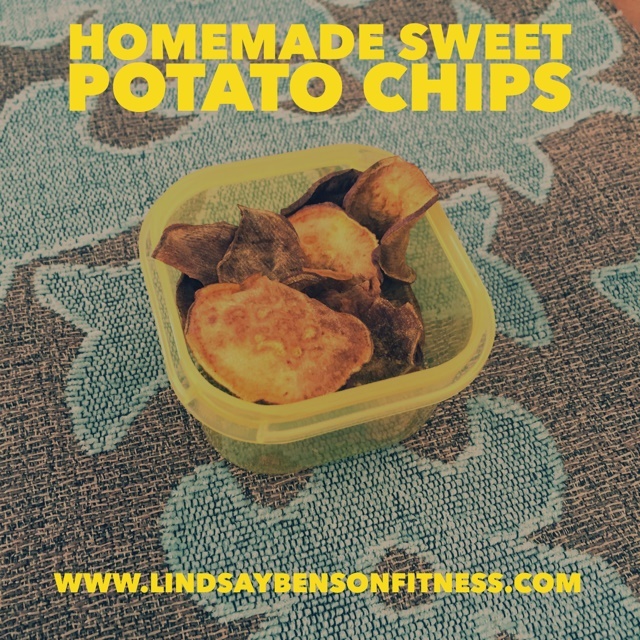 These sweet potato chips do the trick without me having to open up a bag of the unhealthy alternatives. Plus, I have my 21 Day Fix portion control container so I won’t overindulge. Which is easy to do because these are SO GOOD! Cut the potatoes in 1/4-inch-thick slices (I recommend using a slicer!) In a large bowl, add the oil and seasonings. Add the sliced potatoes and toss to coat. Place in a single layer on the prepared baking sheet. Bake until lightly browned and crisp, about 10 minutes. You can get creative when you make these! Next time I might try a little cinnamon 🙂 Enjoy!